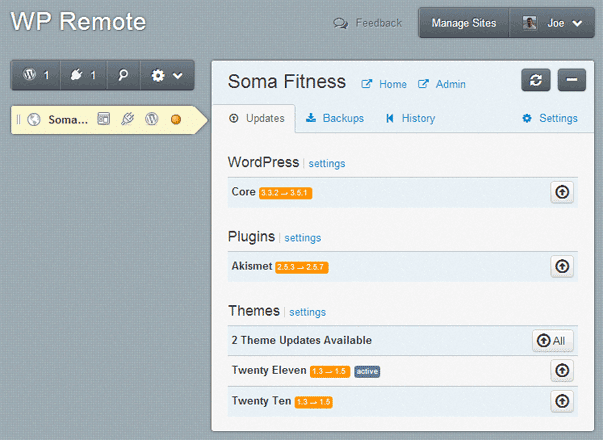 Manage Multiple WordPress Sites from one Location – Which Service is Best? If you have a number of self-hosted WordPress sites, or you look after multiple WordPress installations on behalf of your clients, keeping them all up-to-date with the latest versions of the WordPress core, the plugins they are using and their themes can be a time consuming task, requiring you to login to each site and carry out the necessary jobs. Full post: Manage Multiple WordPress Sites from one Location – Which Service is Best?